acKeys is a software that serves to send commands to Autodesk® AutoCAD® from an Android device via Bluetooth,USB or Wi-Fi. acKeys - Android application that is a software keyboard with multiple predefined buttons organized into categories. When the user presses a button, a corresponding command is transmitted via Bluetooth/USB/Wi-Fi. acKeys - NET application for AutoCAD, a client program that listens for the issued commands in AutoCAD and performs drawing of elements, editing, etc. acKeysCfg - Windows application for configuring the set of buttons and the commands they transmit. Note: This app uses a custom installer (and not the standard App Store installer). This is a trial version of acKeys with basic functionalities. Use the button 'Register' in the acKeys dialog box under AutoCAD interface and follow the instructions to get the unlimited version. 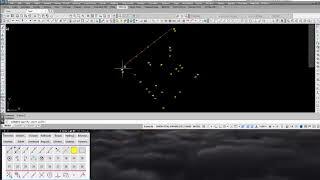 Adds support for AutoCAD 2020.